A new version of the board game Monopoly is to be based on the city of Winchester, the final resting place of the novelist Jane Austen. 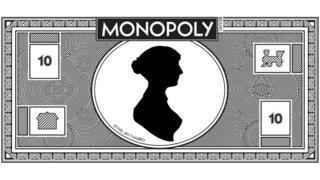 The game is being created to mark the 200th anniversary of Austen who died in the city in 1817 aged 41. Playing pieces could include the King Alfred the Great Statue and its cathedral, and banknotes in the game could feature a portrait of the author. Residents can nominate landmarks in the city to fill the spaces on the board.